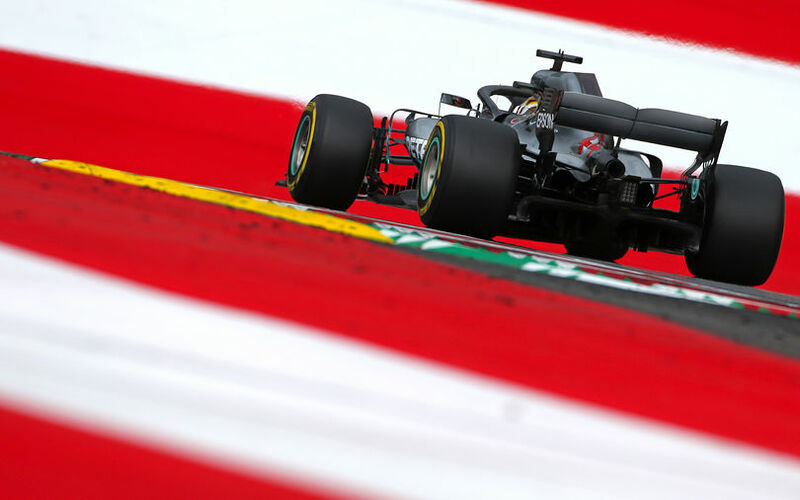 Lewis Hamilton made it a perfect Friday for him and Mercedes as he also topped the second free practice of the day in Austria. On the hardest tyre available, he set his best time, topping team mate Valtteri Bottas who ended up second fastest. Sebastian Vettel was the closest non-Mercedes driver in third, 0.236s off the pace setter. As ever though as Austria, partly thanks to such a short circuit, the gaps were small, with the top 10 covered in less than a second. Lance Stroll, slowest of the session, was hardly more than 2 seconds off the pace. Vettel in third and Raikkonen in 6th saw Ferrari do well, sandwishing the Red Bulls of Daniel Ricciardo and Max Verstappen. The Haas duo behind them were the best out of the big three teams in front. Many drivers seemed to have trouble keeping their cars on track, with cars seen going round the kerbs of hard over them. For Pierre Gasly's Toro Rosso, it was just a bit too much to take, with the front suspension giving up during a rough ride over the sausage kerbs. The Frenchman parked his car in the gravel, but later in the session returned nevertheless, thanks to the swift repair work of the Toro Rosso mechanics. Gasly rounded up the session in 9th, making it positive after all. McLaren's Stoffel Vandoorne completed the top 10 as Fernando Alonso ended up down the pecking order. The team continued to experiment in order to find out what is actually going wrong with the aerodynamics of the car.